Apne ek hi Kavita Mei dono sides ki kmiyan aur khamiyan likh di ! Nahi gunjayish to kuch bachi nahi Hai . Bhut Sahi prayas Hai apke ! 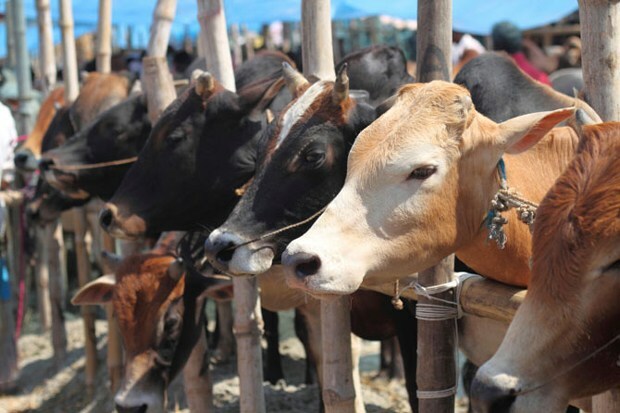 Sukriya apkaa pasand karne ke liye..
Ok …..thanks God……I am a common man and I feel problems.Villagers sell out the old cow in market when it unable to give milk. They are know that what are they doing.I am vegetarian & love all the human, animals & birds.thank you very much for your out of way asking.I am very happy that you are my friends. A very beautiful poem!! But had one question in mind though it’s politically related!! We worship cow as god mother. A lot issues had been raised in killing of cow!! Any how which ever animal is it they are killed to fill stomach. I think overall it’s wrong than and secondly when cow mean a lot to us than why are they not kept in cattle or diaries!! Why they are roaming in streets like nomads and eating garbage!! First thank you very much for your healthy mind & sporting me. Then I want to tell you heartly that my any poetries are not politically related .Please read my poetry deeply.I hope that you will feel my thinking. Wow! what a poem really great creation. Good title and good rhyming that’s nice. Thanks for your great comments & appreciation.